The New Albany Mayor’s Court, which convenes every other Wednesday from 8am-5pm, serves as a local judicial forum to rule on misdemeanor cases alleged to have occurred within the city’s limits. This Court hears misdemeanor offenses including theft, assault, and serious traffic offenses such as OVI/DUI. 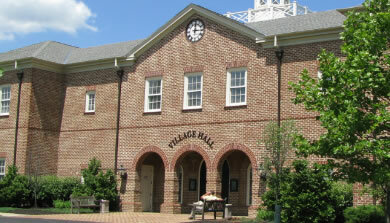 This Court does not hear second offense driving under the influence (DUI), second offense driving under DUI suspensions or financial responsibility (FRA) suspensions, or domestic violence cases, which must be held in with Delaware or Franklin County municipal courts depending on the location of the alleged offense in New Albany. The charges brought in mayor’s court can be serious and have fines ranging from $250 to $10,000, driver’s license suspensions which can cause increased insurance premiums. The Mayor’s Court can also impose jail time for some misdemeanor convictions so it is important to have experienced legal representation. Funkhouser Law has a great track record and familiarity with New Albany Mayor’s Court. The team of lawyers at Funkhouser Law provide premier legal representation and advice. Mr. Funkhouser and his associates personally guide clients through every step of the process—from arraignment to final resolution. Their attention ensures that clients of Funkhouser Law receive the most favorable outcome with the least disturbance to their lives by either avoiding a conviction and/or obtaining a reductions through plea bargaining. For top-rated legal representation in New Albany Mayor’s Court, please call Funkhouser Law at 614-443-5404 for a free consultation. Located Northeast of the Columbus, New Albany is considered a wealthy suburb. With a mixture of both business and residential communities.